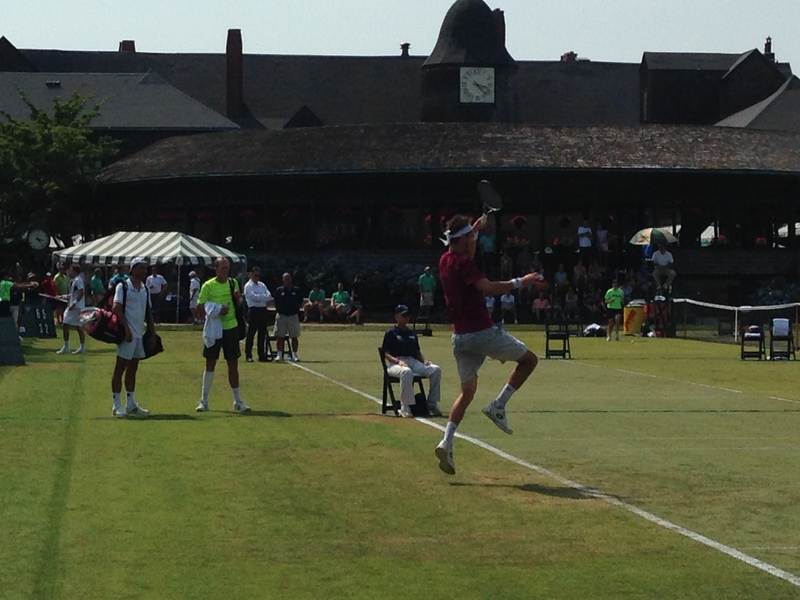 On what was supposed to be one of the hottest days at the Hall of Fame Championships in Newport, Rhode Island, eight qualifiers stepped up to beat the heat and their opponents on a day featuring tight three-set matches early and late. Former Duke standout Henrique Cunha dusted off a poor first set to cruise past Frank Moser, 2-6 6-4 6-1, while Australian Luke Saville survived a long bout with fellow countryman Andrew Whittington. Whittington, ranked 554 in the world, played some good tennis in the later sets but couldn’t beat Saville, ranked 371 players above him. Croatian Ante Pavic was simply outplayed by Alex Bolt throughout the first half of his match today, but Bolt could not put him away when it counted as Pavic blew through the deciding set in a 6-7(2), 7-6(5), 6-2 match that lasted over two hours. 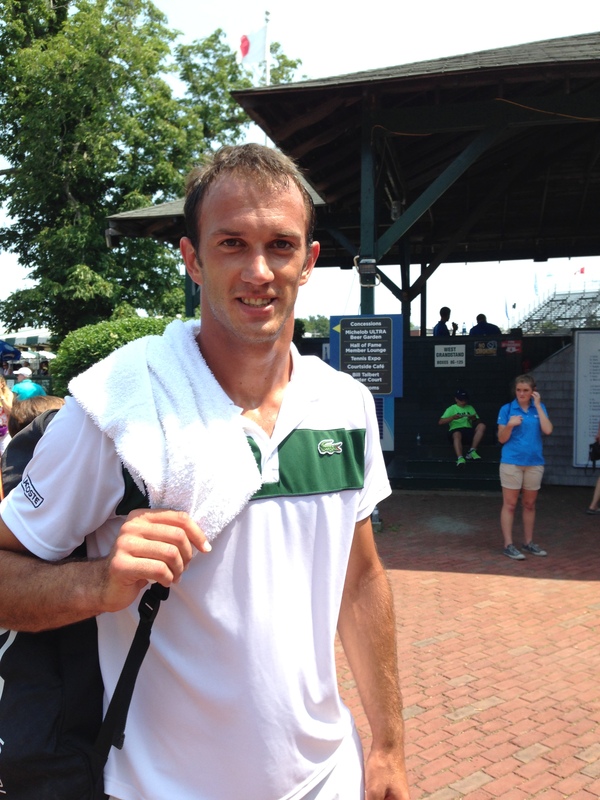 Pavic will play for a spot in the main draw against Saville tomorrow on Court 1. Newport Problems: Can’t Get Off Court Because I’m Surrounded! Great Britain’s Brydan Klein needed only 71 minutes to breeze past former Princeton Tiger Matija Pecotic 6-2, 6-3, but in an ‘Only in Newport’ moment, they stood and shot the breeze for over 5 minutes post-match while waiting for a break in play on either of the other two courts that separated them from the locker room. It was all very collegial on Court 2 and gave new meaning to the term center court. Getting that first set took him an hour, but Adrian Bossel needed less than 35 minutes to take the second set as he cruised past Harry Bourchier to advance to tomorrow’s qualifying finals 7-6(6), 6-4. Bossel looks to book his trip in the draw with a win versus Brydan Klein. 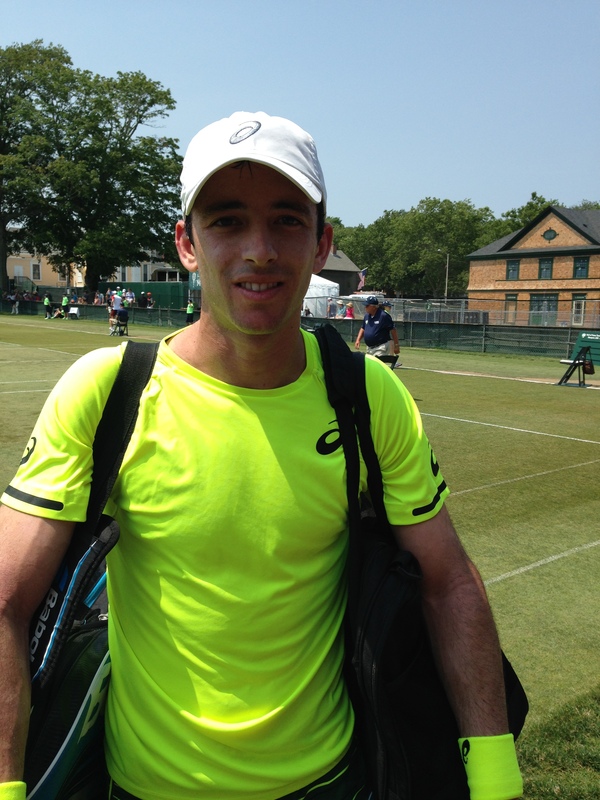 36-year-old Jan Hernych easily passed Eric Quigley, 6-3, 6-2. After knocking out the qualifying tournament’s oldest player yesterday, former top tenner Mark Philippoussis, Quigley could not match the elder Hernych’s wisdom nor his opponent’s ability to win 75% of his second serve points today. Hernych will be in action on Court 2 against Cunha on Monday. And did I mention there were Americans in this qualifying tournament? Ryan Haviland lost today over Taiwan’s Jason Jung hours after Eric Quigley went down. 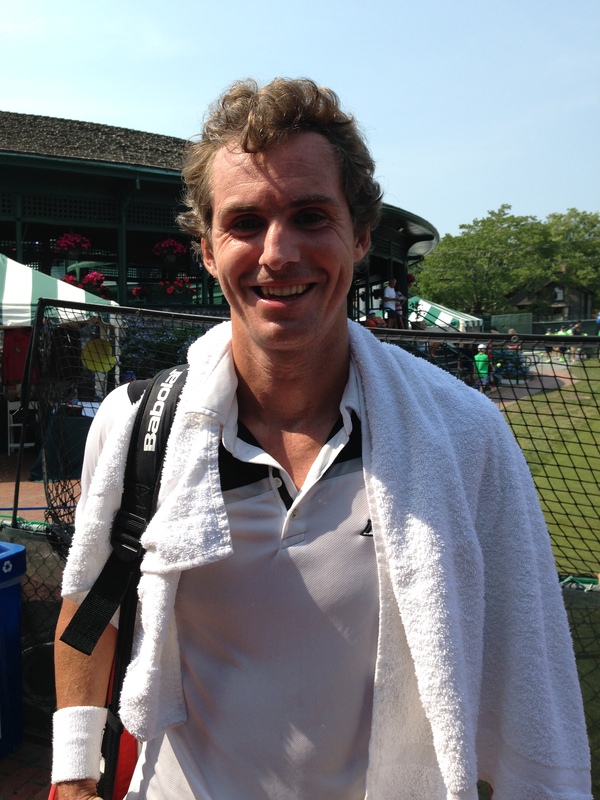 Jung’s last stop in qualifying is with top seed Matt Ebden, a three set winner today in retirement. Beginning tomorrow, Eric Butorac will be hosting a Wayne Bryan-style town hall interview format with different members of the player field.